The Scots-Memorial Heritage Collection conserves and interprets a collection of documents, artworks, books, objects, photographs, and ephemera relating to the Congregational Union and the Presbyterian Church in Hobart from the 1820s. Memorial Church was opened in Brisbane Street, Hobart in 1872, replacing a smaller chapel built in 1832. In 1973 it combined with the congregation at Davey Street, Hobart. 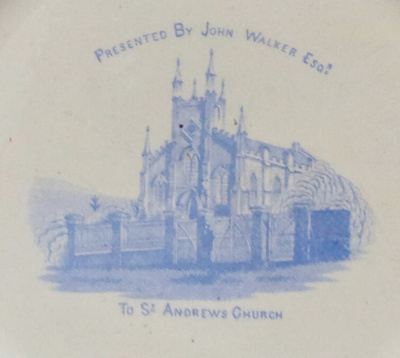 Scots Church was initially established as St Andrew’s on the Bathurst Street site in 1824. In 1977 the Congregational Union of Australia, the Methodist Church of Australasia and the Presbyterian Church of Australia united to form the Uniting Church in Australia. Following Union, the congregations of Memorial Church and Scots Church joined as Scots-Memorial and continue to worship at the Bathurst Street site. Phone contact: Lisa; Museum contact: Lyn. Scots-Memorial Church is an active mission centre. To arrange a visit, please phone the church office between Mon 7.30 AM to 4.00 PM; Tues – Fri 7.00 AM to 2.30 PM. Wheelchair access, Reference library, Function space, Public programmes, Toilets.